Jason Wardrop is a real estate lead generation specialist. 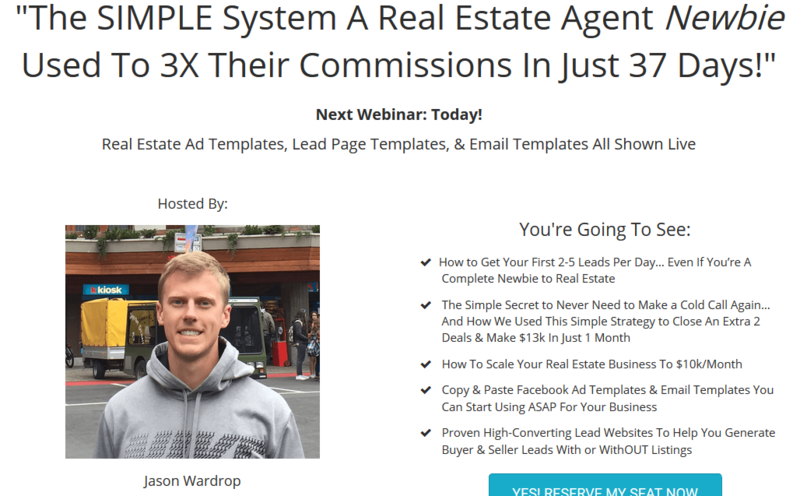 In the last 18 months Jason has generated over 52,500 real estate leads for his business through the lead generation strategies he will be showing you on this LIVE web class. Please send me the payment details for paypal. Thanks. Please send me payment link! Can I have a payment link, please? Hey is this not available to all members yet? Is this available now? If so, please send payment link. Last edited by pyrate001; 2 Weeks Ago at 05:21 AM. Last edited by cfriedman19; 1 Week Ago at 07:43 PM. Payment sent, please send me download link. When will it be available for memebers? There is a video missing from the first module "How To Setup Your '7-Day Trial' Clients (step-by-step)" that comes with a Google Form which is important. Can anyone confirm if this is in the above course? I bought it a while ago and it isn't there. All times are GMT +6.5. The time now is 12:45 PM.